Growing up in Lamontville in a two room shack occupied by ten people, young Mlu had a dream to one day become a pilot. As a child, he had no idea this wouldn’t be that easy to attain but as he grew older and watched his mother raise their family on a mere domestic worker’s salary, his dream started to seem impossible. It was only once he wasn’t able to complete his Matric and struggled to get a response from employers for a job, that he realised he needed to take matters into his own hands. Fast track a few years and Mlu is now a 22 year old young man who has started up his own barbershop in Lamontville, and with the help of Paradigm Shift is hoping to take it to new heights. So he thought he would give it a shot. At first he was skeptical and thought that it was all just a ploy to get people to attend church, since it was run at Lamontville Baptist, but after the first session he realised how wrong he was. 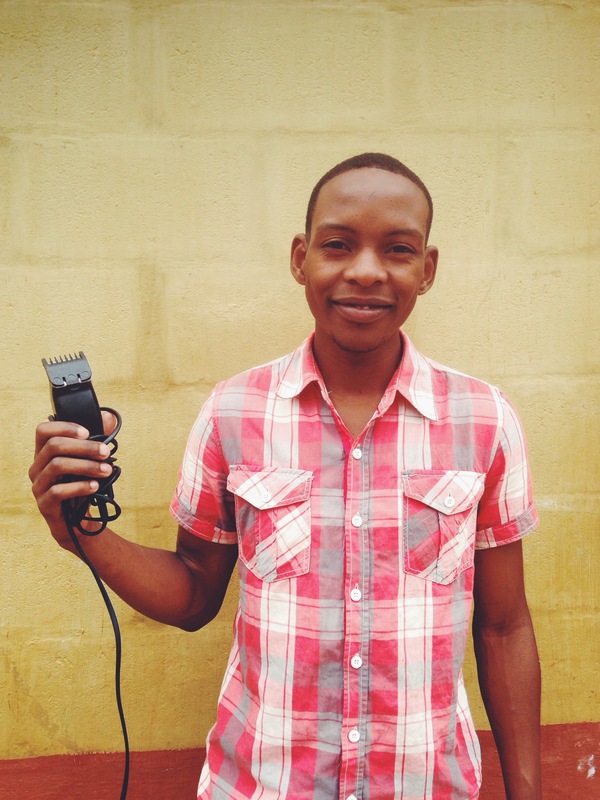 With 5 weeks still left of the course, Mlu has already learned so much about running a business and the loan he qualified for helped him to buy more equipment for his barbershop. However, the business mentorship is not the only thing he has taken from this course. Mlu’s dreams of being a pilot have not died, but he has started to realise he has other passions and other dreams too. These include running a professional barbershop in a big shopping mall within the next three years and to one day open up his own restaurant. For now though he has to think small term, and the next step is to buy a tent for his business so that on rainy days he can still operate. The young entrepreneur has already started investing money for this purchase and is excited about the future of the barbershop. “My name is Annah Nxumalo. I live in Shongweni and support my daughter and five other children from relatives. I only had work one day per week and was struggling to provide for my family. A lady from Westville Baptist Church found work for me for another two days and helped me to start up a tuck shop. CAST sent me to Entrepreneurs 4 Africa Conference for four days, which taught me how to run my business.CAST also helped me build up some capital by letting me buy a bag of second hand clothes, which I sold in Shongweni. I am so grateful to the angels at Westville Baptist Church and CAST who have helped me so much with encouragement, support and advice. Now I am able to pay my childrens school fees and feed my family.I have put windows, burglar bars and a door on my shop with the money I am making and I am also able to help my community as there are no shops in the area and people struggle to buy food.